I think you're right - in the pan with bacon . Hi - sorry I haven't been very active recently but here are some shots of Candlesnuff (or Stagshorn) fungus - Xylaria hypoxylon - I found in the garden the other day. Have never seen that before Mike. Looks rather nice. Evil looking stuff. I'm not sure I've ever seen any either. thanks for the Mike. When I was reading up about it said it was actually edible, or at least wouldn't poison you, but it was a bit woody and not very tasty. 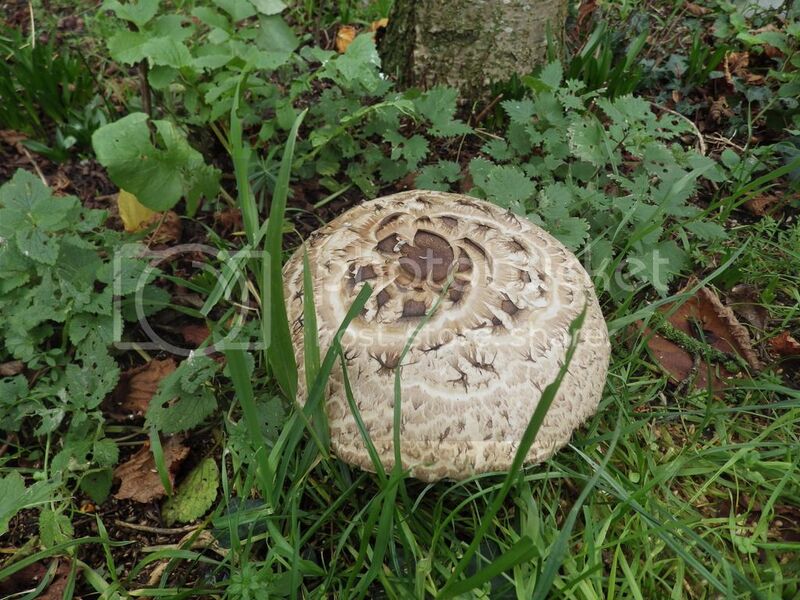 This is the last of the Shaggy Parasols today. It is approximately 6 inches across the top of the cap that has a lovely twirling pattern.